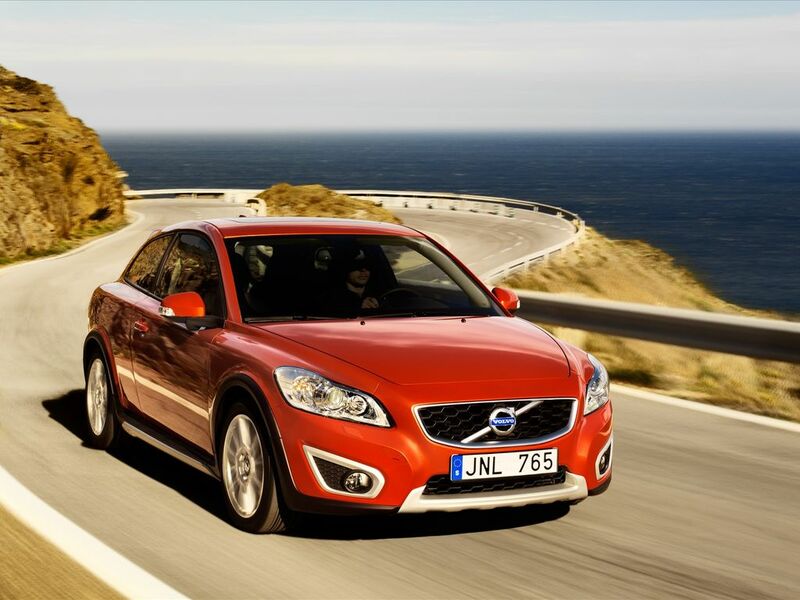 The new Volvo C30 steps out and shows the model's full potential and personality. This can be seen in the fresh, self-assured design of the front end. And it is emphasized by a wide range of options, including an urbane, bold accessory styling kit. The C30 is Volvo's most playful and spontaneous car model. It appeals to customers who spend most of their time in the city environment and who impose considerable demands on the car's design, driving properties and personality. The Volvo C30 can be configured in an almost unlimited range of variants thanks to a wide selection of drivelines, design details and equipment levels. And the new C30, which makes its debut at the 2009 Frankfurt Motor Show, offers even more choice than before. "The new exterior is also a better match for the way the C30 drives - challenging, direct and with a whole lot of attitude." continues Daniel Backman. The restyled Volvo C30 is more comprehensive than is usually the case with Volvo's models. The entire front clip has been redesigned, including the soft nose, front fenders, grille, headlights and lower front spoiler. This gives the car a radical new appearance from the front, carving out a distinctive personality which clearly separates the new C30 from the Volvo S40 and V50. "By integrating greater depth into the design language, the front end has become more dramatic and expressive. 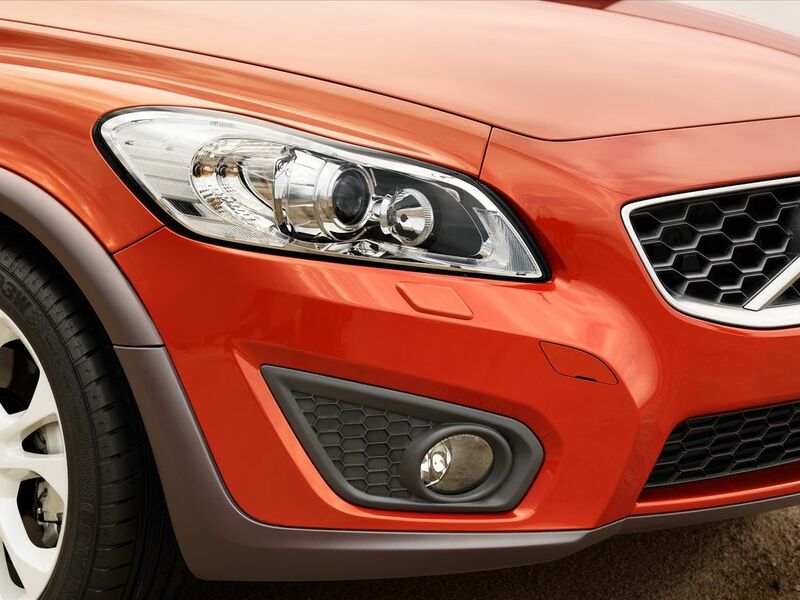 Along with the angled lines of the front bumper, the new headlamps, drawn offset and up, reinforce the impression of speed and sportiness," says Fedde Talsma, Exterior Chief Designer at Volvo Cars. In the middle of the grille is the new, larger iron mark just as in the rest of the Volvo range. The air intake has also grown in size and resembles the intake in the XC60. 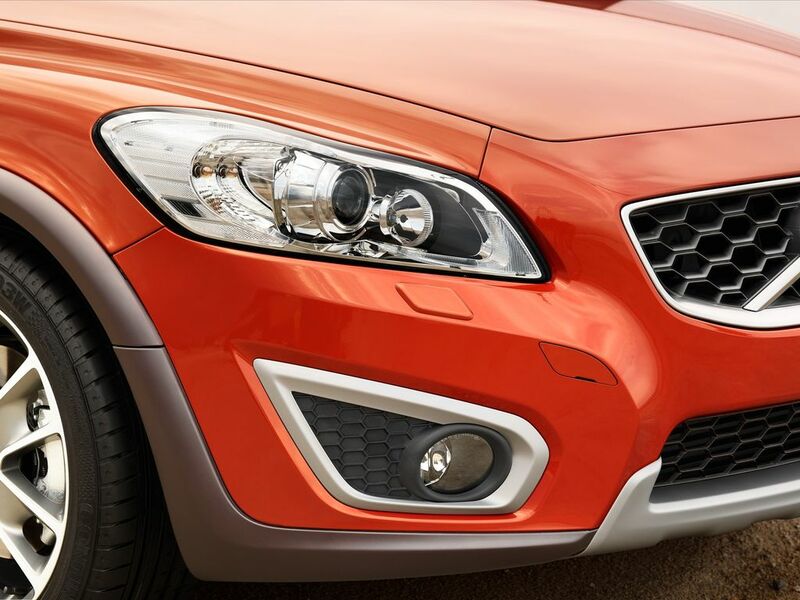 The grille has a new pattern used solely on the C30. Although the biggest design changes have taken place at the front, the rear also sports the same deep new lines and detailing. The contours are wavier and more dynamic than before. The black plastic panels have been replaced with more body color lower down, in the same or a contrasting color, to forge a closer visual contact between the car and the road surface. * The option to choose five different colors on the lower trim - the C30 Contrast Colour Collection. 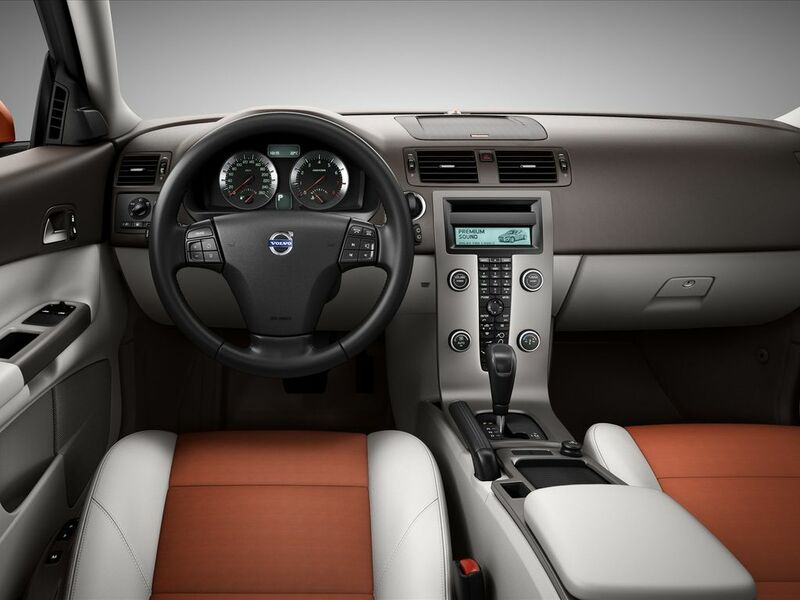 The new Volvo C30 also offers a range of new interior options. Among other things, there is now an all-new color combination known as Espresso/Blond, consisting of a dark brown upper section and a blond, fresh shade on the lower door sides. The blond tone is somewhere between grey and beige and is an expression of Volvo's strong Scandinavian design tradition. The Espresso/Blond interior permits the integration of energetic new highlight colours such as orange, green and blue in the fabrics, as well as a new color for leather upholster, Cranberry. "We know that a large proportion, almost half, of all C30 customers make detailed interior choices. They want to decide for themselves what their car should look like and are not interested in readymade packages. The new C30 gives them a range of fresh, modern style cues in terms of both colour and fabric to choose between," explains Maria Uggla, Program Chief Designer Color & Trim at Volvo Cars. "We have also focused on making it easier for customers to match exterior design elements with interior trim in an attractive way, something that has been made that much easier with the new Espresso/Blond colour combination," continues Uggla. 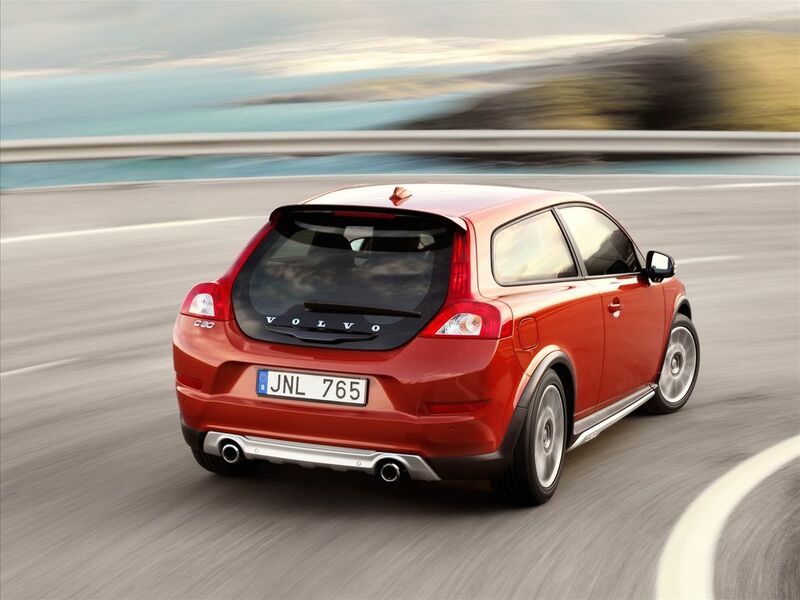 The Volvo C30 also meets the wishes of buyers with a broader car design interest. 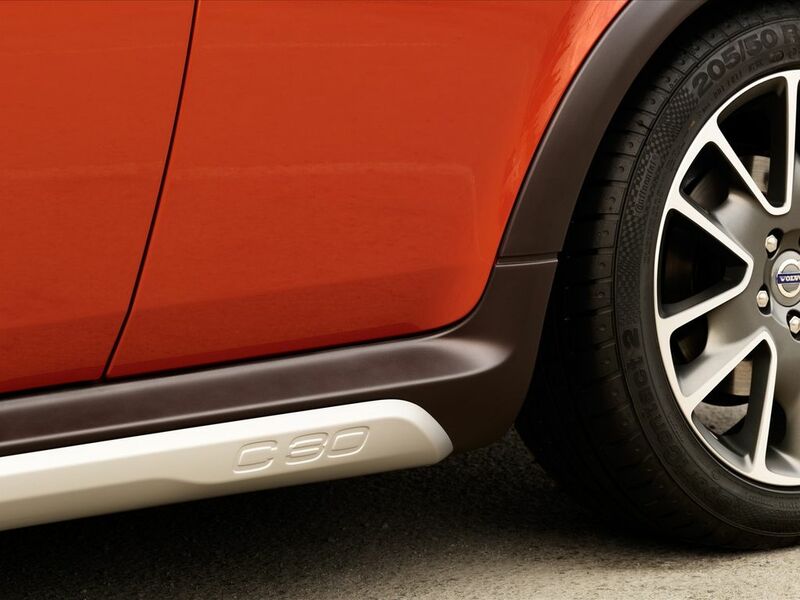 A youthful new accessory styling kit with a bolder, less polished style gives the C30 even more attitude. The kit includes foglamp décor, a front skidplate, side scuff plates with engraved C30 logo and a rear skidplate with a stylish aluminium look. The C30 T5 incoprates two 90 mm tail pipes in polished stainless steel to underline the powerful engine. The new optional sport chassis for the Volvo C30 is considerably sharper, with stiffer, more distinct properties than previously. The steering is more precise, owing to the installation of stiffer bushings. The steering ratio is lower, giving 10 percent faster response to steering wheel input. Spring stiffness has been increased by no less than 30 percent in order to increase the car's poise in enthusiastic driving. The dampers too are stiffer and are now of the exclusive mono-tube type that builds up pressure much more quickly. The roll stabilizers are stiffer to reduce any leaning tendency when taking corners. In the U.S. , the redesigned Volvo C30 is offered with a single engine: the 227 horsepower tubocharged five cylinder, known as the T5. A six speed manual transmission is standard and a five speed Geartronic automatic is available optionally. The figures below represent a manual gearbox running in the mixed driving cycle.